The hedge and the vineyard are both green and lush with fruits ripening or budding on almost every plant. There is no sign of fruit on the kiwi and, unfortunately for us, there should be full size fruit on the vines now and ripe fruit by the end of August. The grapes, even though they’ve been hit hard by the Japanese Beetles, look great. 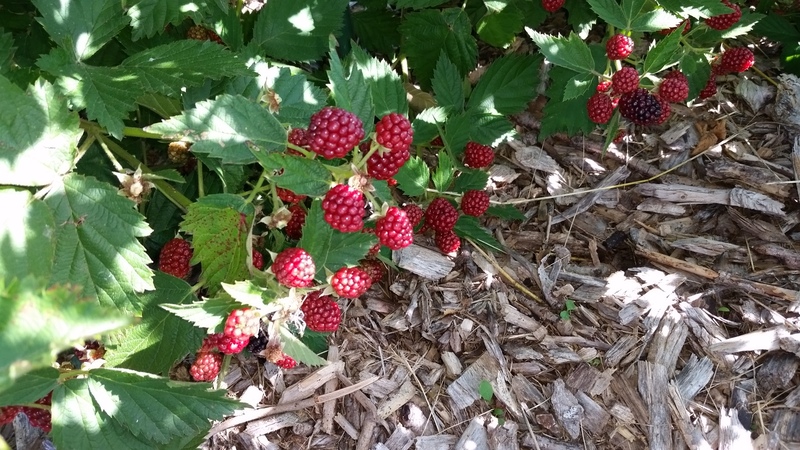 They are full size and just starting to turn into that beautiful deep purple that heralds ripe fruit. The boys are itching to pick them so I let them try one resulting in sour faces and “you were right” mommies. 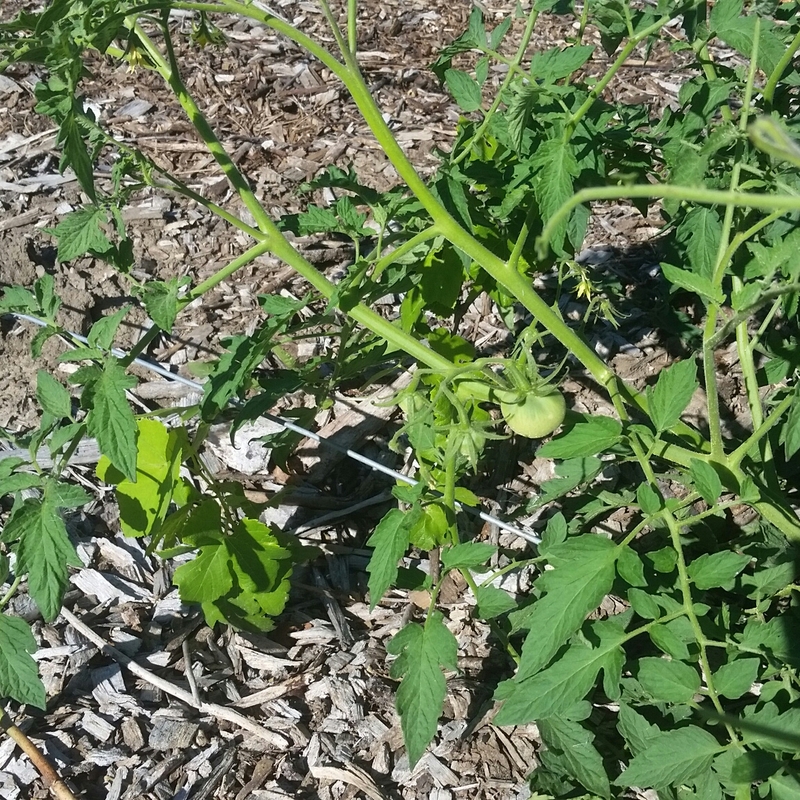 The Rose de Bernes I planted in the vineyard all have small green tomatoes growing. They will be a deep pink when ripe. 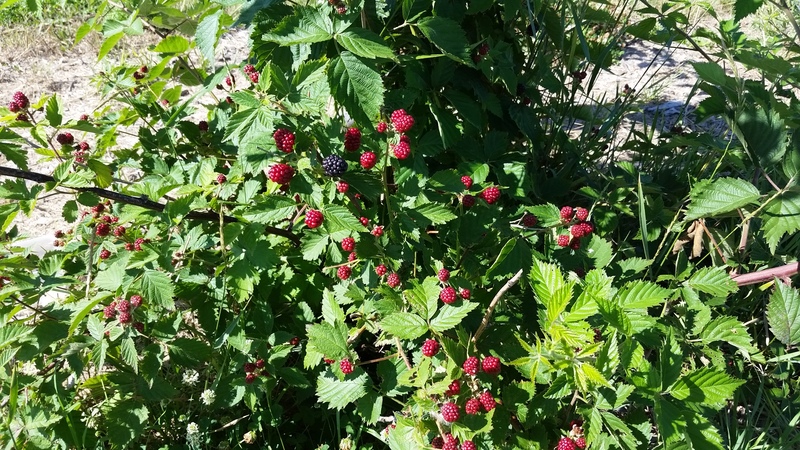 There are so many blackberries ready to ripen. 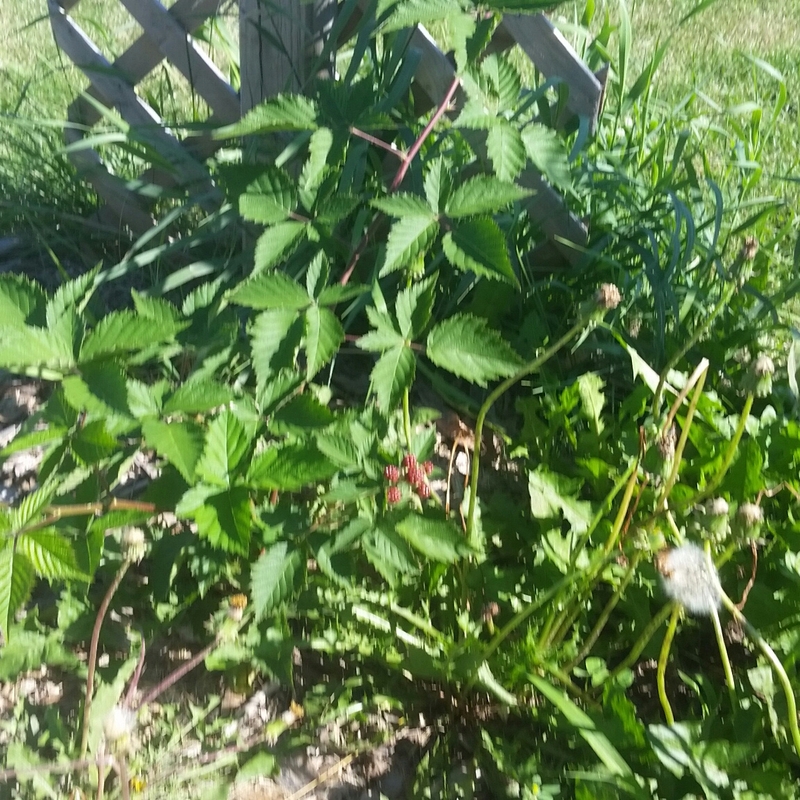 We get at least a full bowl of juicy berries every day and still the vines are heavy with them. 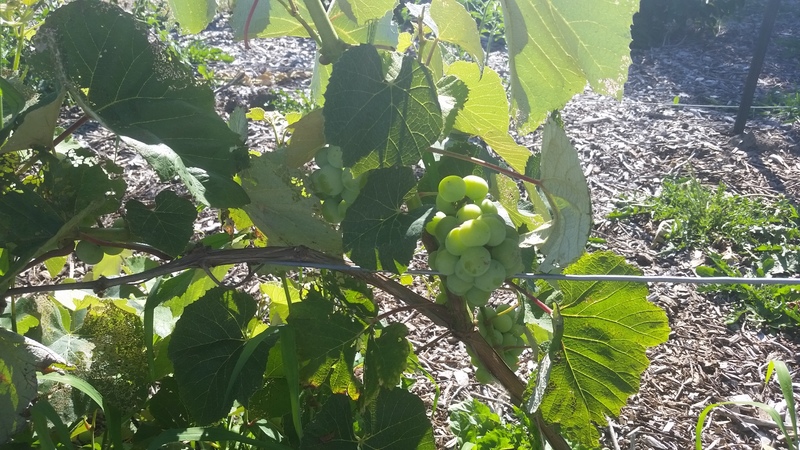 Even the vine I cut and stuck in the vineyard has has a few little berries on it. On a sad note, I feel I’ve neglected the kitchen garden this year. I waited too long to plant the squash, even though I made a beautiful trellis for it to climb up. 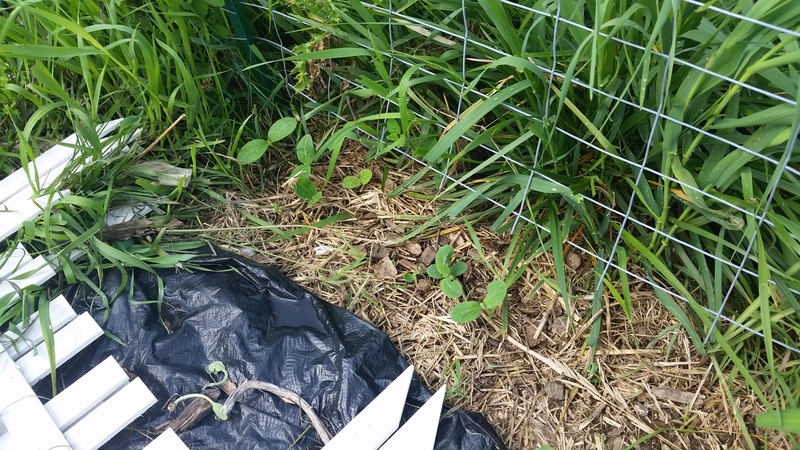 I let the lamb’s quarters, dill and borage get away from me, so each time I go out to check for eggs I cut some of it and feed it to the chickens. 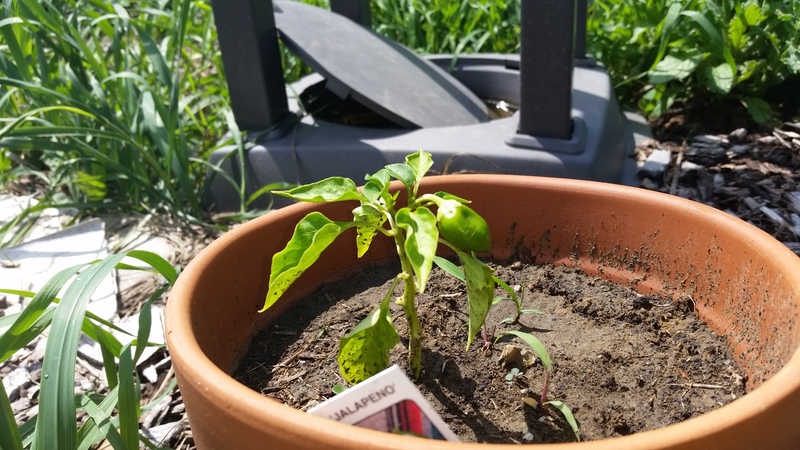 I didn’t pay attention to the peppers so they are still pretty much the same size as seedlings, with tiny buds and one little jalapeno. We’ll get a few tomatoes, some more carrots and maybe brussels sprouts and squash, but our harvest this year will not be as great as in the past. 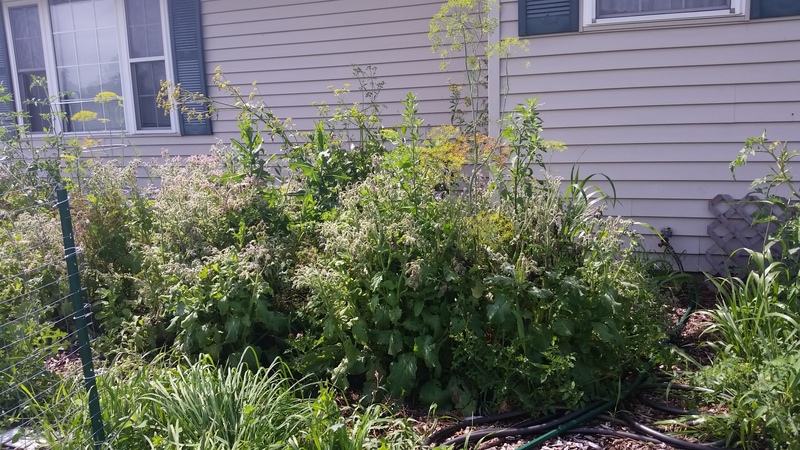 But, I’m very happy with perennials. The cherries, despite the beetles, have ripened. There are more blackberries in the fedge and grapes in the vineyard than ever before. 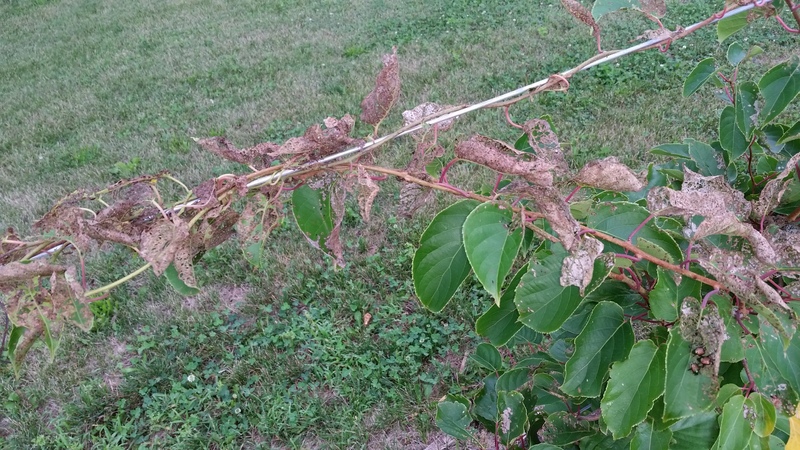 The aronia and seaberries are spreading and new plants are popping up all over, propagating themselves with no effort on our part. The wait is over. Our perennials are finally catching up, which softens the blow of the failed kitchen garden.